The description of this unit says w/Floor. 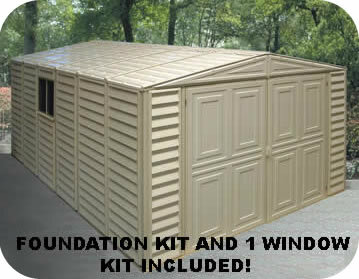 Actually, a floor ..
Our DuraMax 10.5 x 21 pvc vinyl garage kit includes 1 side door, 1 foundation kit and extra wide double doors! 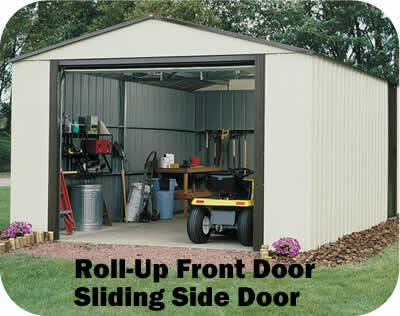 In choosing a new home garage, whether to park a lawn mower in or for extra storage, the most important things to look for are longevity, strength, durability and low maintenance. DuraMax vinyl garages offer, by far, the best combination of these features. They will not rust, dent, rot, mildew or fade from the elements and they never need painting. 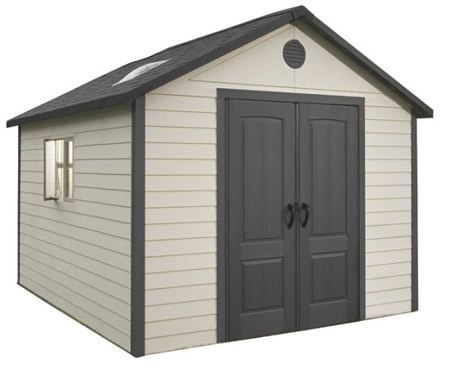 The DuraMax 10.5’ x 21’ vinyl garage / storage shed boasts 1,294.04 cubic feet of space with 88” double doors that are wide enough to drive in most common sized tractors. 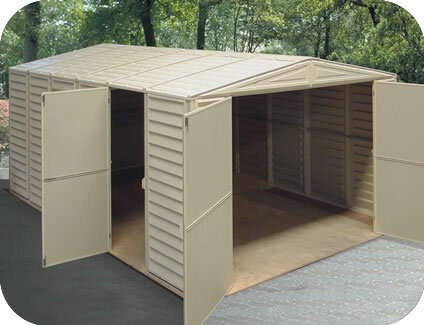 The shed walls are reinforced with metal inserted columns for even greater rigidity and strength. 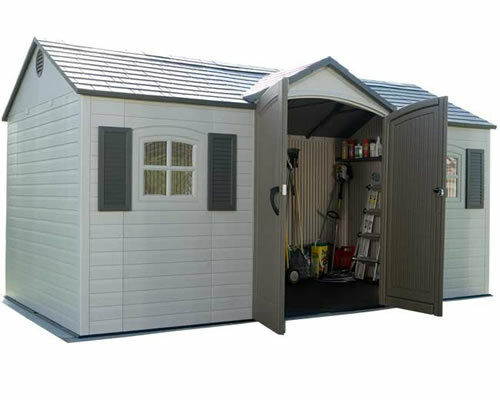 This storage garage can handle at least 20 lbs per square foot of snow on its roof. 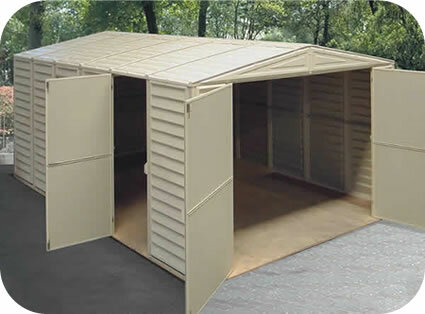 It's attractive design and neutral ivory color go well anywhere in any backyard setting.